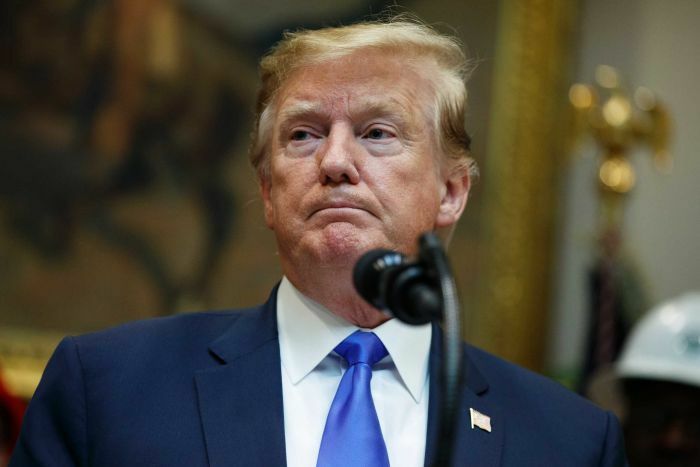 President Donald Trump has come under criticism for a tweeted video that was edited to suggest Minnesota Democrat Ilhan Omar that was dismissive of the significance of the September 11 attacks. 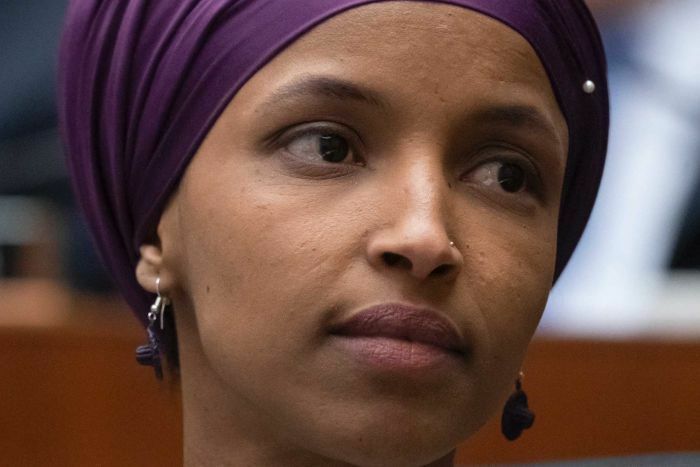 House Speaker Nancy Pelosi said the President “shouldn’t use the painful images of 9/11 for a political attack” and implied the President could have compromised Ms Omar’s safety. The video pulls a snippet of Ms Omar’s speech last month to the Council on American-Islamic Relations (CAIR), in which she described the 2001 terrorist attacks on the World Trade Center as “some people did something”, as well as news footage of the hijacked planes hitting the towers. “First Member of Congress to ever describe terrorists who killed thousands of Americans on 9/11 as ‘some people who did something,'” Texas Republican Dan Crenshaw — a retired Navy SEAL who lost his right eye in 2012 in an explosion in Afghanistan — tweeted. Ms Pelosi said in a statement that while she was in Germany visiting American troops that “the memory of 9/11 is sacred ground, and any discussion of it must be done with reverence”. She apologised for suggesting that lawmakers support Israel for pay and said she wasn’t criticising Jewish people. But she refused to take back a tweet in which she suggested that American supporters of Israel “pledge allegiance” to a foreign country.